Health insurance in India has the most dissatisfied customers, and their loyalty levels are also declining as PSUs fail to match up to customer expectations. Tardy clearance of mediclaims, and inefficient cash-less facilities are just some of the drawbacks. In the developed countries it is common to see rating of various products or companies being done by the consumers. It is interesting to have a study in May-June 2006 issue of consumes voice where a study has been undertaken by going points to various parameters. 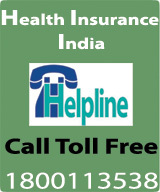 We feel that respondents have responded on the basis that Health Insurance & Overseas Health Insurance are covered under group of Health Insurance. In the VOICE study of customer satisfaction levels in the four sectors of insurance, it was health insurance that got the least highest scope, indication that the health insurance segment needs to tighten its belt and bring down the dissatisfaction levels of consumers who use the service. TATA AIG was the top ranker with a score of 64.02, whereas National Insurance cooled its heels at the bottom with an average score of 53.14 TATA AIG's strength is its promptness in claim redressal, which really is the lynchpin for health insurance service, especially. An alarm has been sounded for PSUs, as Consumer VOICE finds that their customers are switching over to private sector player's hoping for better service, at least in the health insurance segment. Getting a claim processed from pubic-sector insurance entities is bound to test a consumer's patience, but they do provide good connectivity with hospitals, and in case of an emergency, you will not have to go hunting for a hospital that is tied-up with your insurance service provider. 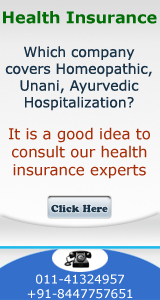 United India Assurance, for example, is the company that will make you tighten your pockets to pay hospital bills, even when you are entitled to cashless service. This came to light during the VOICE study as the surveyed United India's customers complained of dishonouring of policy by TPAs. The one single-largest grievance that any dissatisfied health insurance consumer would have is that of tardy settlement of claims, or that of tardy settlement of claims, or that of disputed claims. In order to tide over this difficulty, the concept of Third Party Administrators (TPAs) was introduced-which was essentially about outsourcing claim settlement. The cashless model of hospitalization also depends on the TPAs, where policy holders are allowed to avail of medical treatment at any of the networked hospitals without having to pay cash upfront. However, TPAs are also a source of discontentment among consumers, more so PSU insurance companies' TPAs, about whom the VOICE survey respondents felt that their quality of service and infrastructure needed to improve, and that the service form hospitals was really not up to the mark. The not-so-polite club: Except for Royal Sundaram and ICICI Lombard, all other players in the health insurance sector (both private and public) have maximum scores for the parameter 'politeness and behavior of customer service representative/TPA executive.